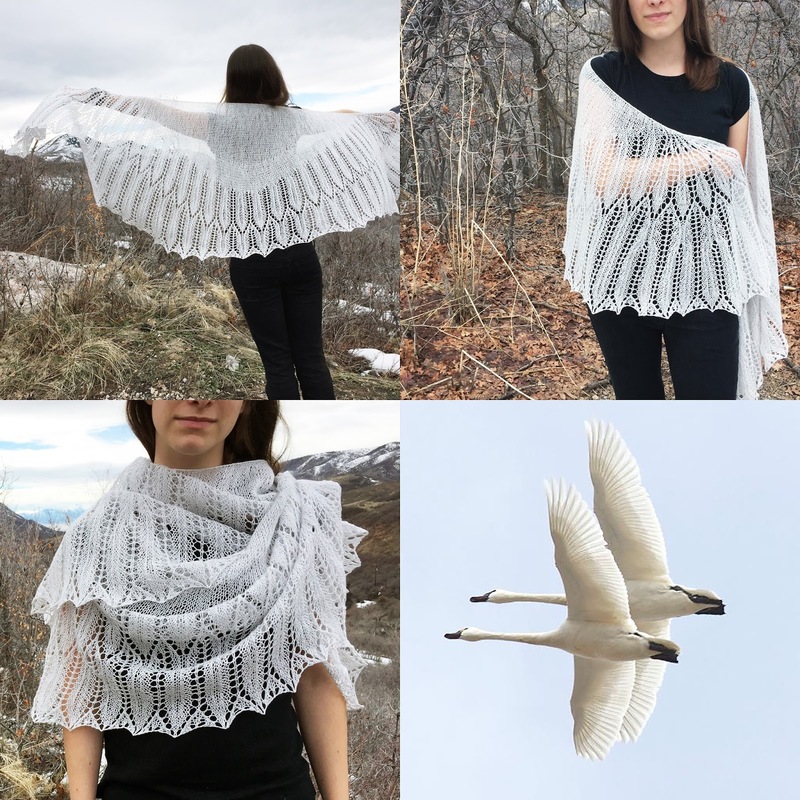 I took a break from doing the many pieces I have in the works for my Great Basin Artist in Residency to create a lacy shawl patterned after tundra swans. They are beginning to migrate again through northern Utah and are so beautiful soaring in the sky that I had to stop and create something. I have put the pattern in my Ravelry store if anyone else wants to create one. Now back to knitting and remembering the beautiful Great Basin National Park! Tundra swans migrate through the Farmington Bay Waterfowl Management Area in Utah twice each year. In the fall, about 40,000 swans fly through on their way to California where they spend the winter. Then in the spring, they fly back to the Arctic tundra. With a massive wingspan of up to six feet a wedge of Tundra Swans can dominate the skies during migration. A bevy of these birds create a graceful dance in the sky.